- Acute. Cold-like symptoms such as a runny, stuffy nose and facial pain that start suddenly and don’t go away after 10 to 14 days. It usually lasts 4 weeks or less. - Subacute. Sinus inflammation lasting 4 to 8 weeks. - Chronic. Inflammation symptoms that last 8 weeks or longer. - Recurrent. Several attacks within a year. - Conditions that make an infection more likely, such as immune system deficiencies or medications that suppress the immune system. For children, things contribute to sinusitis include allergies, illnesses from other kids at day care or school, pacifiers, bottle drinking while lying on the back, and smoke in the environment. A nasal endoscope is a tube-like instrument equipped with tiny lights and cameras. 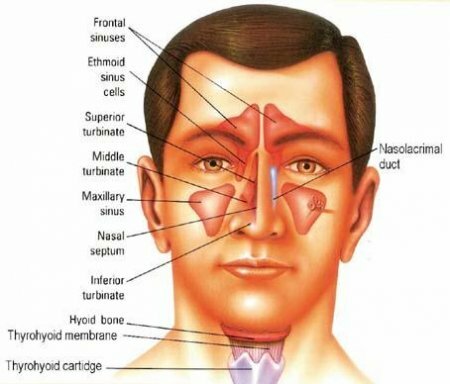 Doctors use it to see inside your nose and sinus drainage areas. First, you may get some anesthesia to numb the area, but that’s not always needed. It depends on your particular case. Acute sinusitis. If you have a simple sinus infection, your doctor may recommend you use decongestant meds and steam inhalations. You shouldn’t use an over-the-counter decongestant for more than a few days, though, because it can make you more congested. If your doctor gives you antibiotics, you’ll probably take them for 10 to 14 days. The symptoms usually disappear with treatment. Chronic sinusitis. Warm moist air may help. You can use a vaporizer or inhale steam from a pan of warm (but not too hot) water. Warm compresses can ease pain in the nose and sinuses. Saline nose drops are also safe to use at home. Over-the-counter decongestant nasal drops or sprays could also help, but don’t take them longer than recommended. In some cases, your doctor may prescribe antibiotics or steroids.